Today is the birthday of Samuel Allsopp (August 12, 1780-February 26, 1838). 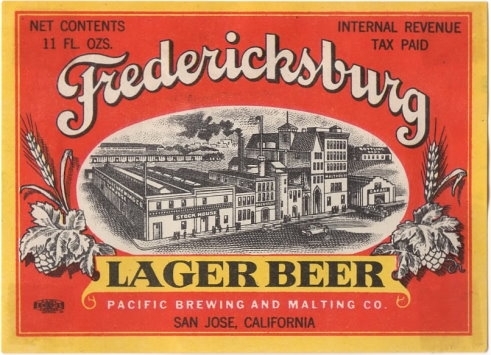 He purchased the brewery started in the 1740s by his uncle, Benjamin Wilson, in 1807. 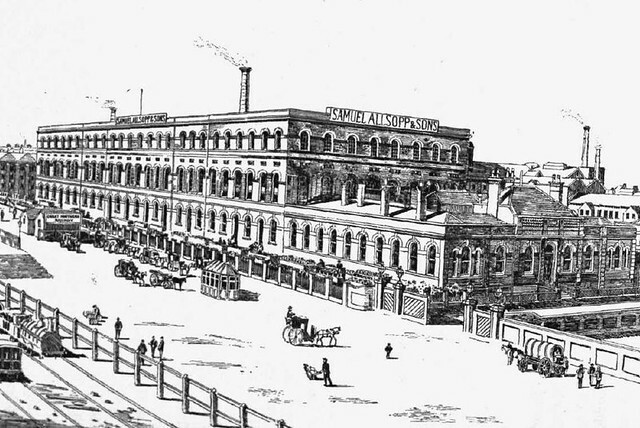 Bringing his family into the business, he renamed it Samuel Allsopp & Sons. 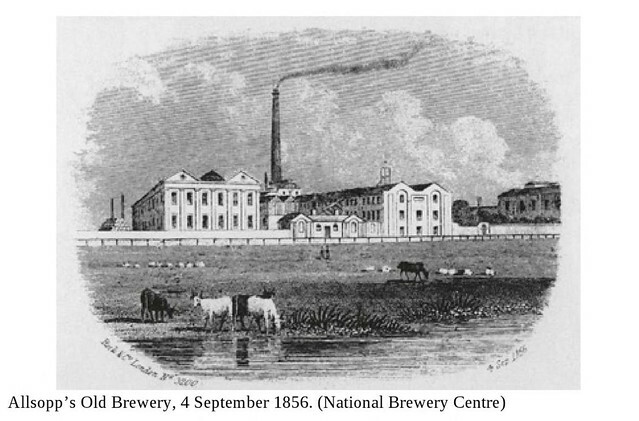 When he died in 1838, the Burton-on-Trent brewery passed to his son Henry Allsopp. 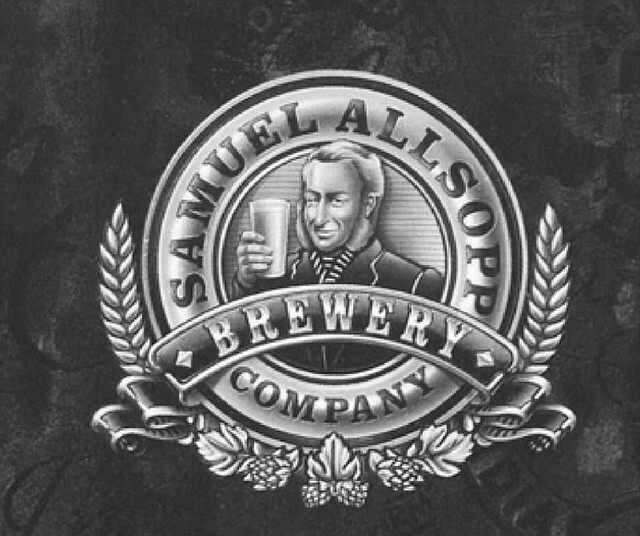 While I couldn’t find any pictures of Samuel Allsop, the logo of the Samuel Allsop Brewery Co., from 1994-98, used his likeness. 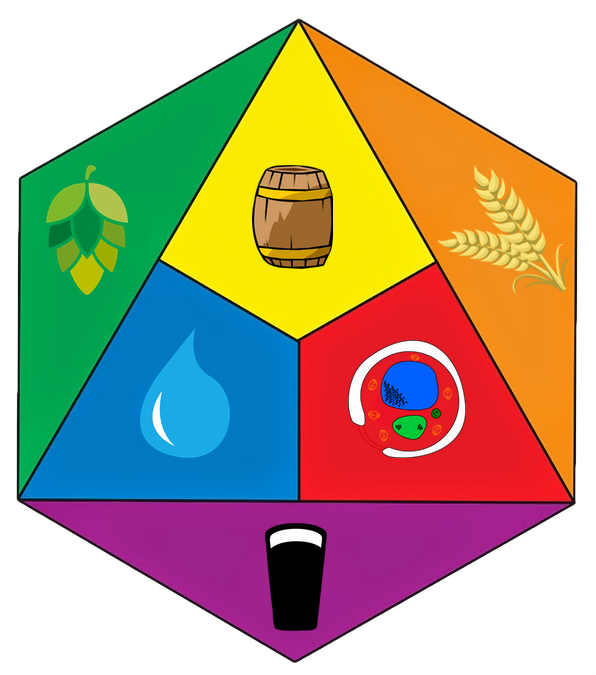 Allsopp’s origins go back to the 1740s, when Benjamin Wilson, an innkeeper-brewer of Burton, brewed beer for his own premises and sold some to other innkeepers. 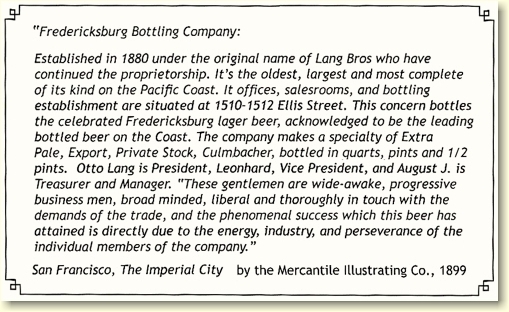 Over the next 60 years, Wilson and his son and successor, also called Benjamin, cautiously built up the business and became the town’s leading brewer. 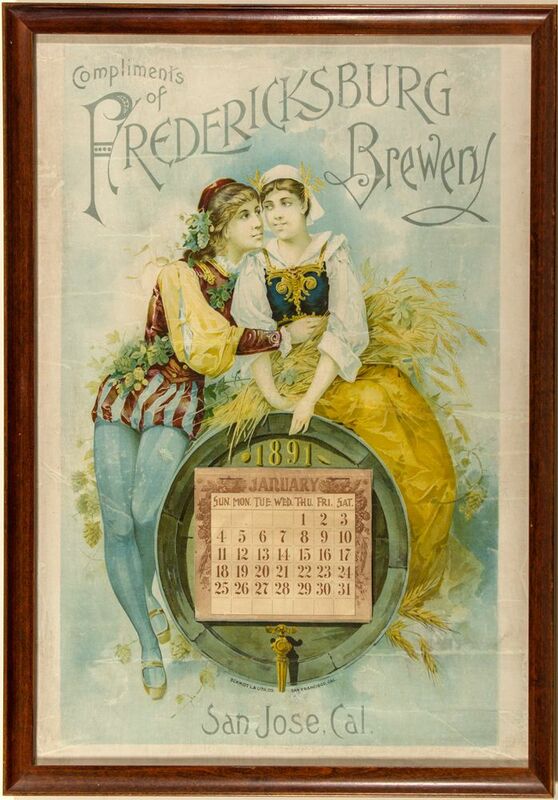 In about 1800, Benjamin Junior took his nephew Samuel Allsopp into the business and then in 1807, following a downturn in trade because of the Napoleonic blockade, he sold his brewery to Allsopp for £7,000. 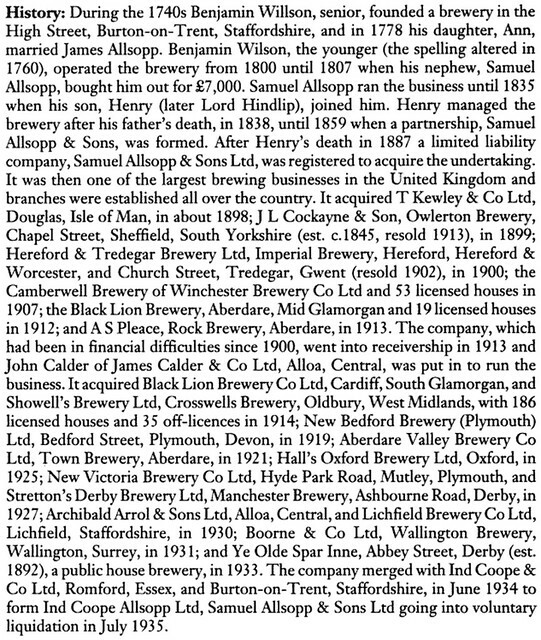 After Samuel’s death in 1838, his sons Charles and Henry continued the brewery as Allsopp and Sons. 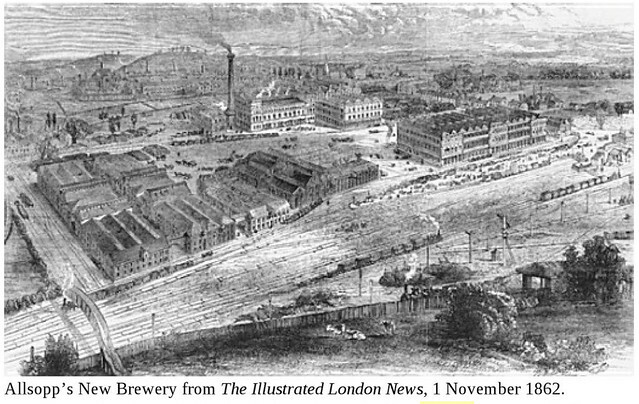 In 1859 they built a new brewery near the railway station, and added a prestigious office block in 1864. 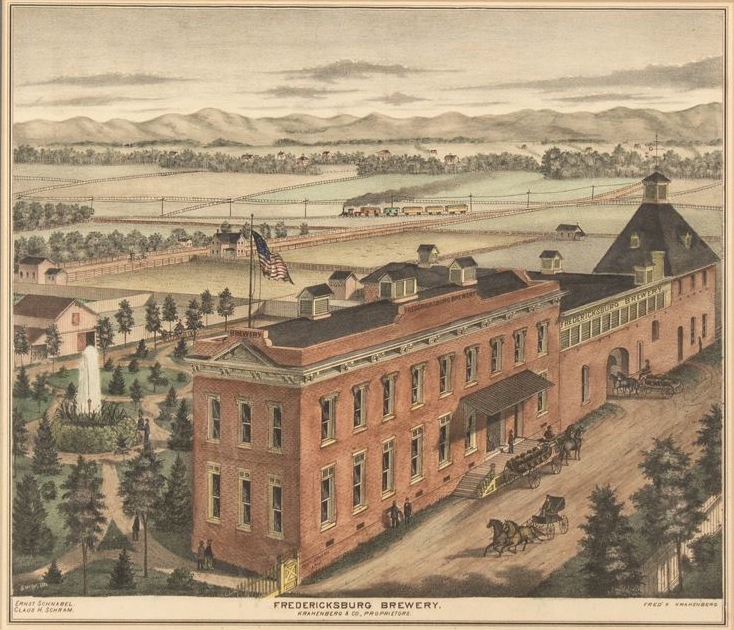 By 1861 Allsopps was the second largest brewery after Bass. 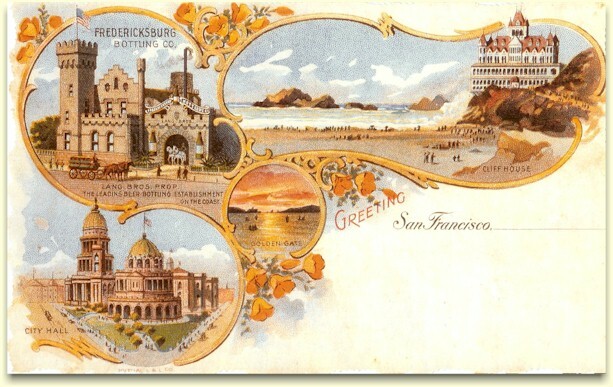 Henry Allsopp retired in 1882 and his son Samuel Charles Allsopp took over. 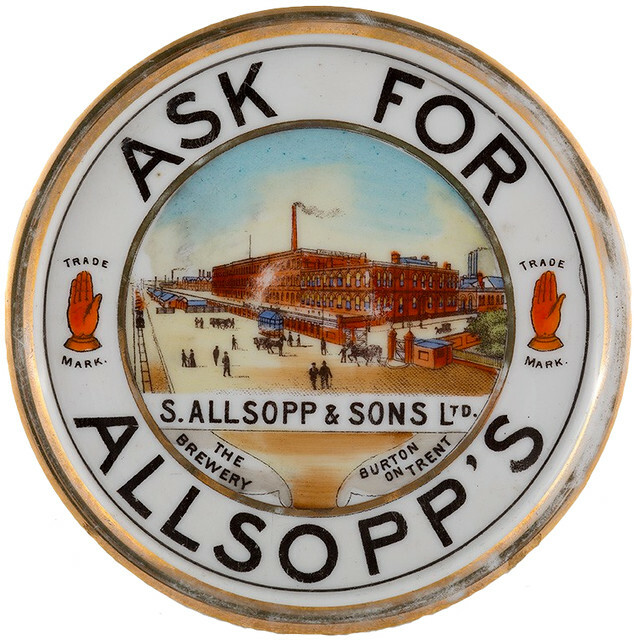 Allsopps was incorporated as a public limited company in 1887 under the style Samuel Allsopp & Sons Limited . 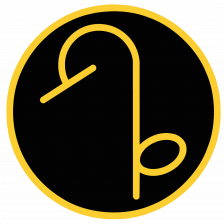 There were scuffles at the doors of the bank in the City as potential investors fought for copies of the prospectus, but within three years, these investors were demanding their money back as the returns were so much lower than predicted. Under Samuel Allsopp, ennobled as the 2nd Lord Hindlip on the death of his father, Allsopps lurched from crisis to crisis. 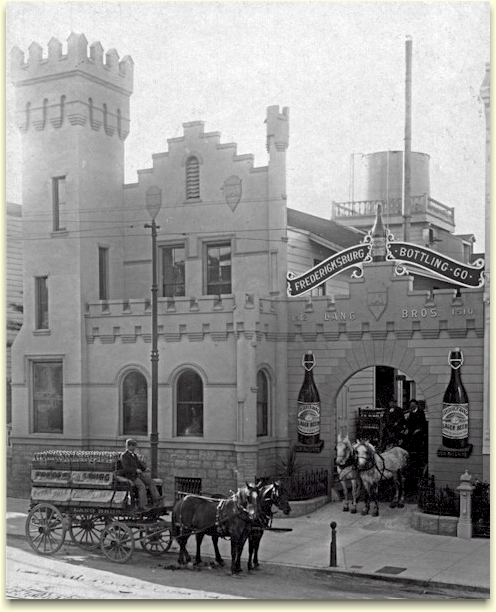 With the difficult trading conditions for beer at the beginning of the 20th century, many Burton breweries were forced to close down or amalgamate. 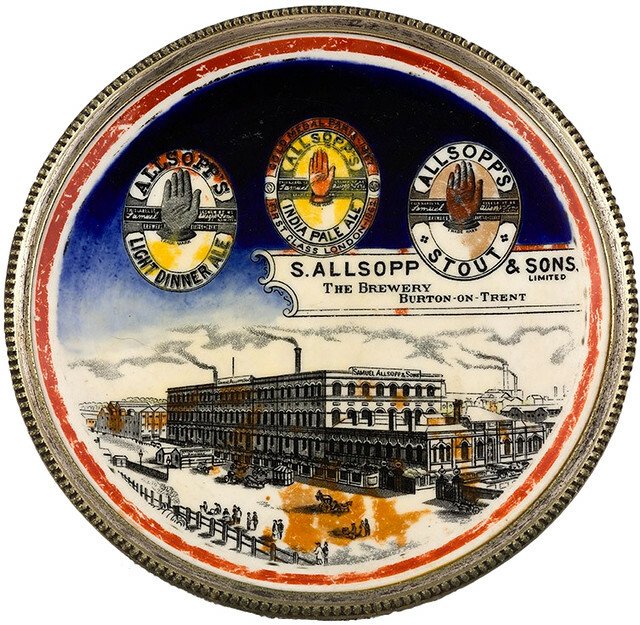 After a failed attempt at a merger with Thomas Salt and Co and the Burton Brewery Company in 1907, Allsopps fell into the hands of the receivers in 1911. 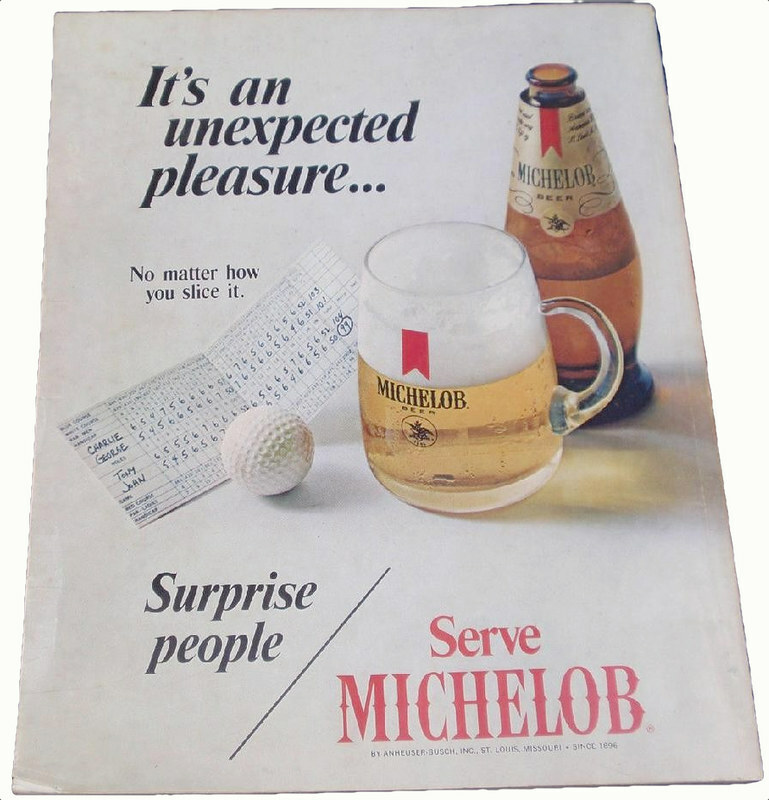 The company’s capital was restructured and it continued trading. In 1935 Samuel Allsopp & Sons merged with Ind Coope Ltd to form Ind Coope and Allsopp Ltd. 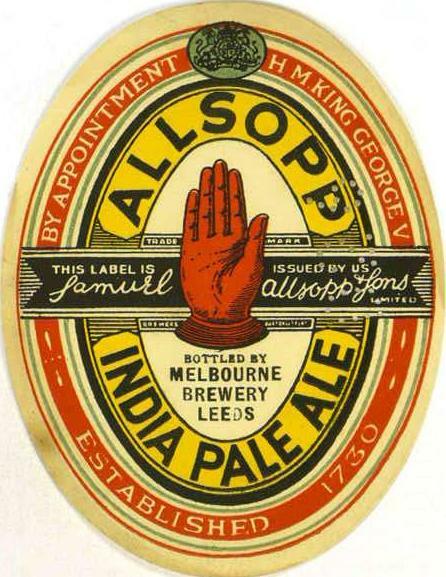 The Allsopp name was dropped in 1959 and in 1971 Ind Coope was incorporated into Allied Breweries. Today is the 47th birthday of Jennie Hatton, who did P.R. 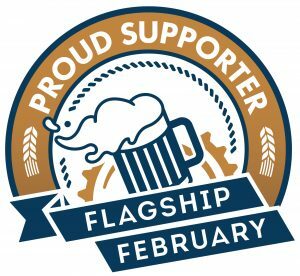 for Philly Beer Week and several craft breweries in the tri-state area for a number of years. 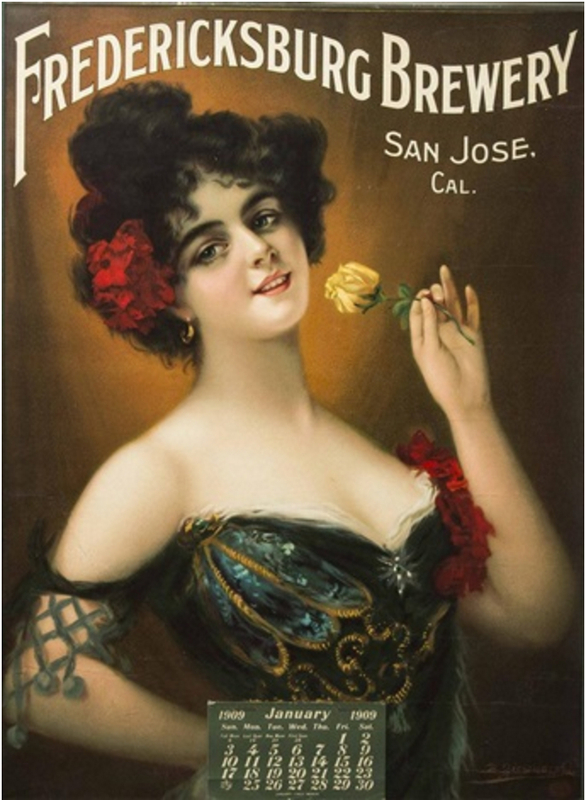 She cut her teeth working for Tom Peters at Monk’s Cafe. 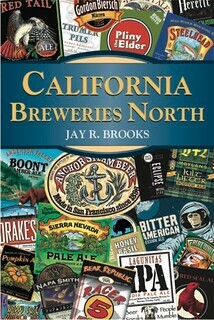 Jennie and her business partner Claire Pelino are responsible for many, many beer books being published as literary agents to a number of beer writers, including yours truly. Also, Jennie is one of my favorite people in the industry and she’s so much fun to be around that people refer to her as “The Wonderful Jennie Hatton.” Also, few people love tater tots like I do, and she’s one of them. That’s enough for me. 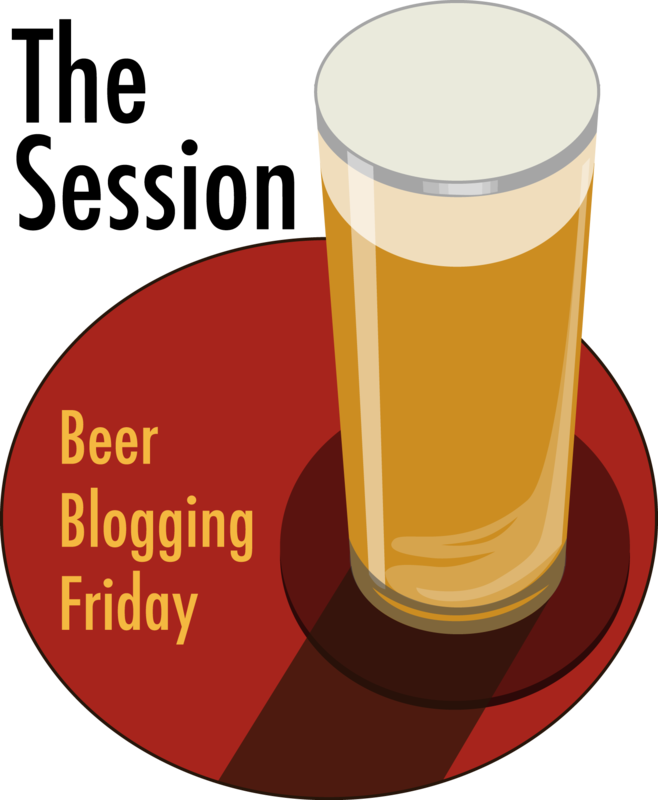 More recently, she’s been doing Brand Development for Dogfish Head. Join me in wishing Jennie a very happy birthday. 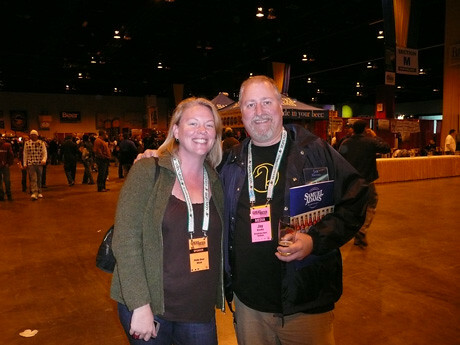 Jennie and me on the floor at GABF in 2008. 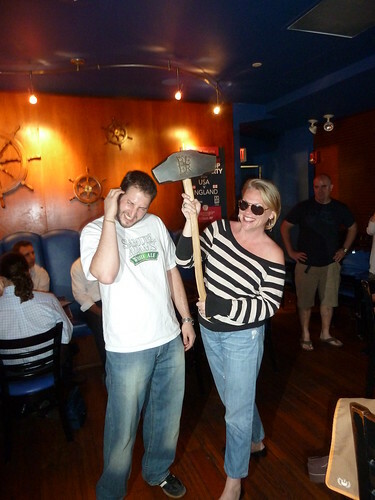 Jennie wielding the Hammer of Glory during this last year’s Philly Beer Week. 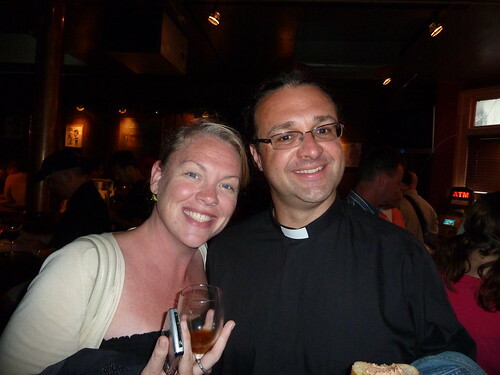 Jennie and the Reverend Kirk T. Berlenbach, Rector of Saint Timothy’s Episcopal Church, at the Sam, Tomme & Old Beer event at Nodding Head Brewing during Philly Beer Week. 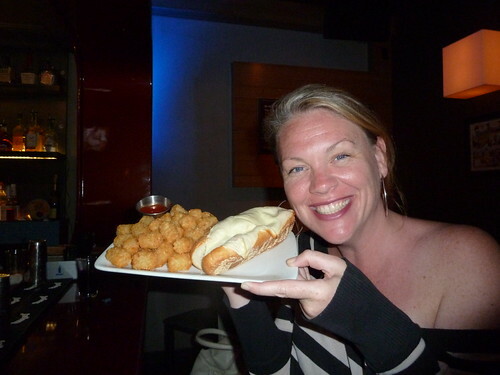 Jennie with some of the best tater tots ever, at North Lanes Lounge in Philly.